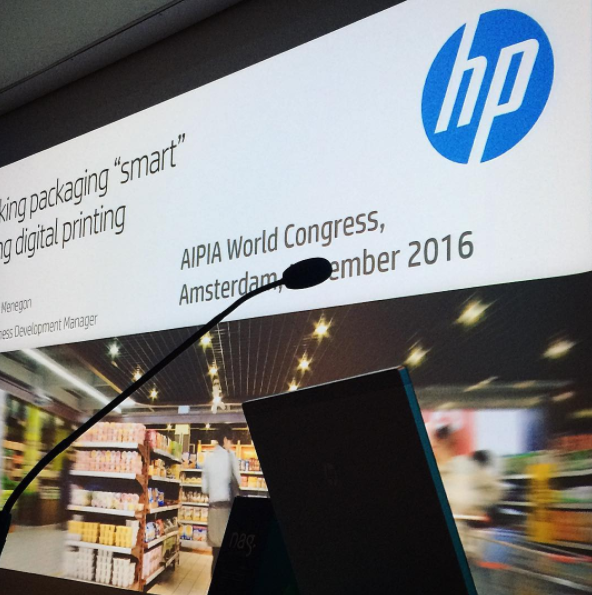 MYPACK CONNECT was very pleased to be invited by HP Indigo Europe during AIPIA Congress (Active & Intelligent Packaging Industry Association) in Amsterdam to introduce MYPACK app and MYPACK CONNECT platform to industrials and brand managers. Thanks to digital printing and HP Indigo printing solutions, MYPACK app allows brand to recognise each packaging individually and assign a specific message to a customer or even a group of customers for a unique shopping experience. That’s is also an open door to product and packaging personalisation via a mobile app.